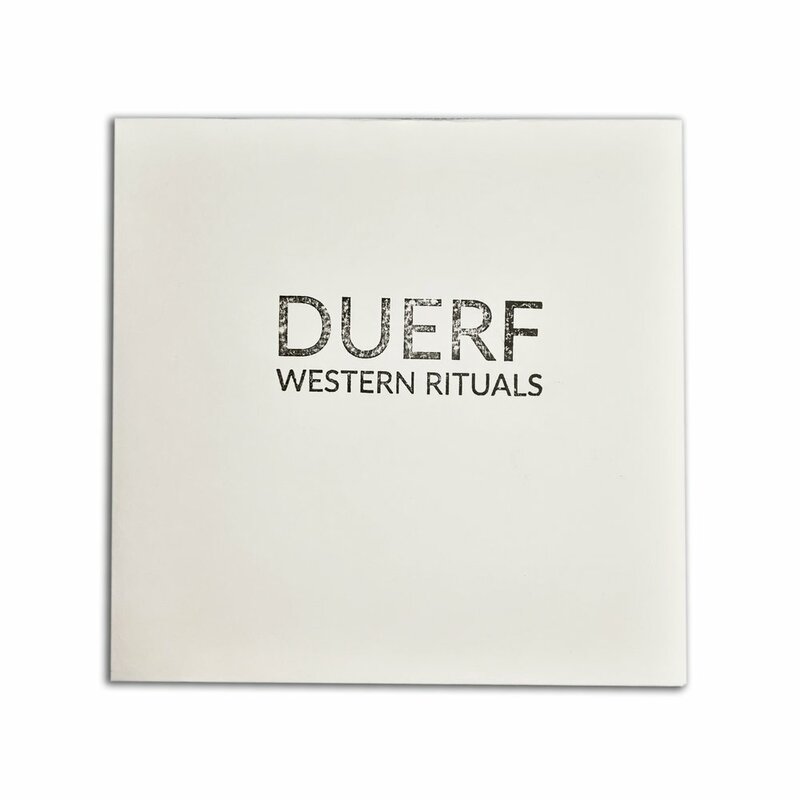 Duerf’s debut full length was born as a concept initially in the mid 00’s but the actual recording process didn’t start until 2008. It was finally completed in the first half of 2016. The idea was to try to utilize the machinations and aesthetics of noise as acquired tools rather as post-modernist statements in a humble attempt to produce a direct expression of the experience of life in urban landscapes, to reclaim a first-person narration from the overwhelming presence of these colossal constructions. Being present at all stages of this 9-year period, we are more than excited with the completion of these six compositions that we are releasing today. “Western Rituals” contains elements of organic drone, noise collages, samples of sounds and of physical instruments and, in our mind, constitutes an aural and photographic representation of the dystopian environment of Western societies. Exactly as it’s explained in the included manifesto. Pro-printed CDR housed in custom die-cut 300g white paper hand-stamped envelope, and accompanied by two square postcards printed in heavy stock paper. First 25 copies come with one different postcard than the second 25. CDr hold in place with white foam pad on the postcard.